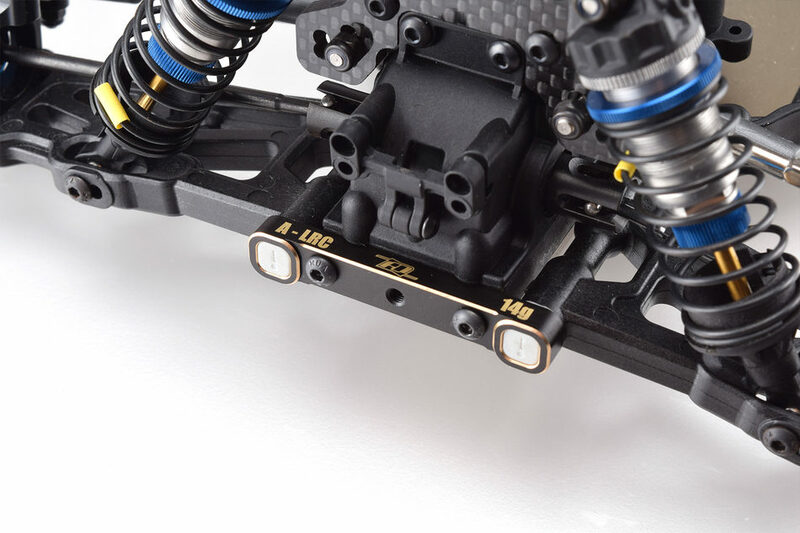 The RDRP Brass Suspension Mount A LRC for the Team Associated B64 series of buggies is a direct replacement for the kit's lightweight part. It adds valuable weight especially when running in low-traction conditions or when the track is getting bumpier. 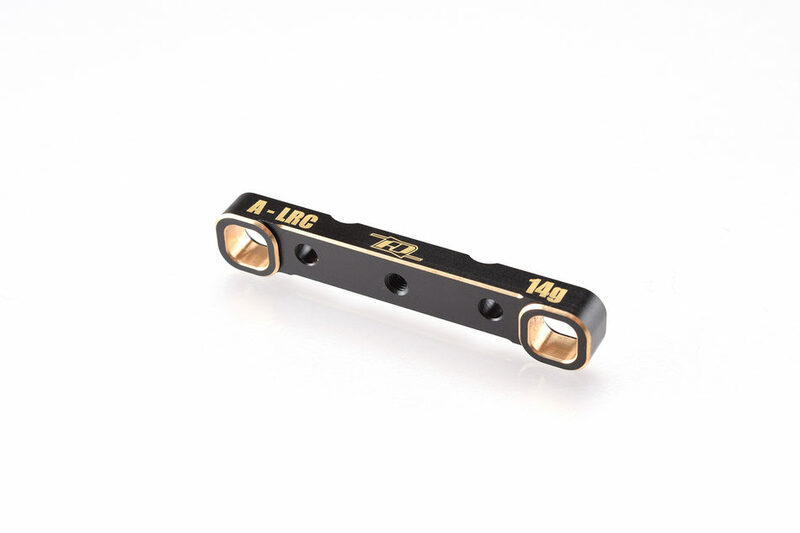 Machined from black-coated brass and sporting gold-colour chamfered edges the part weighs in at 14g which shifts the weight bias further to the front which leads to an easier to drive car especially in low traction conditions. 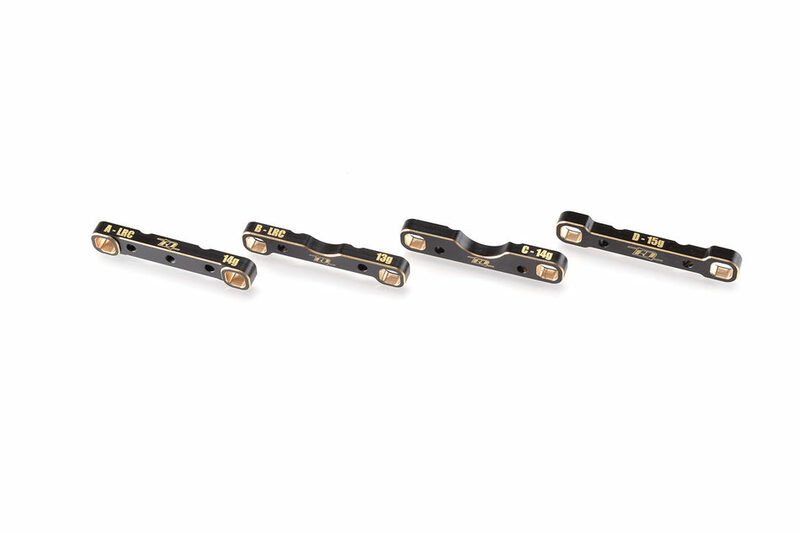 The part comes in the standard LRC configuration and it uses the kit's plastic suspension inserts.